The Japanese have an expression that you cannot say “Kekko” (meaning magnificent) until you have seen Nikko. (Nikko wo minakereba “kekko” to iu na.) This mountainous area of natural beauty is combined with all the brilliant art and craftsmanship from the Tokugawa period, and it is situated just 130 kilometers outside of Tokyo. The scenery is particularly stunning in the autumn when tree leaves paint the landscape in a multitude of colors. Early November is generally considered to be the time when the colored leaves are the most spectacular. 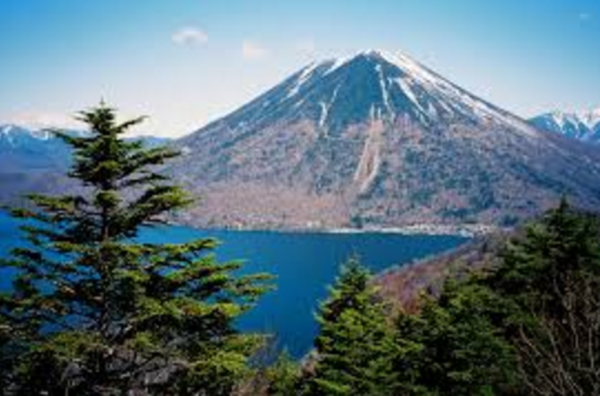 Nikko is an ideal place for outdoor activities with many hiking and climbing trails, lakeside campsites, fishing and sailing. In the winter there is downhill and cross-country skiing, and ice-skating. 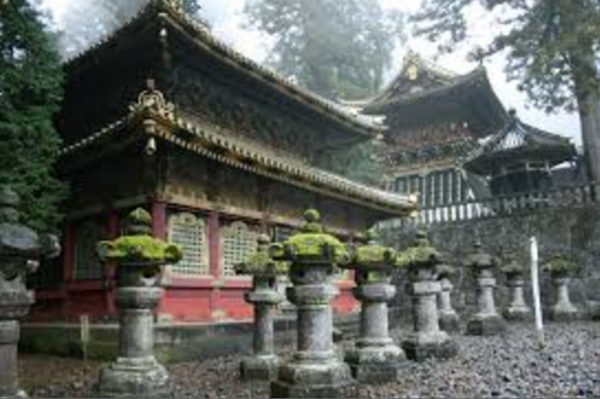 Nikko is also famous for hot springs, and Toshogu is said to be the most popular Shrine in Japan to visit. This mountain area has been a center of religious activity since the eighth century when a Buddhist priest named Shodo Shonin came to Nikko and crossed the Sacred Bridge over the Daiya River. Legend says that Shonin earnestly recited a Buddhist Sutra in order to cross over to the beautiful mountains on the other side. At this time, an old man in white clothes with a white beard appeared and hurled two snakes, one green and one red, into the air forming a bridge. 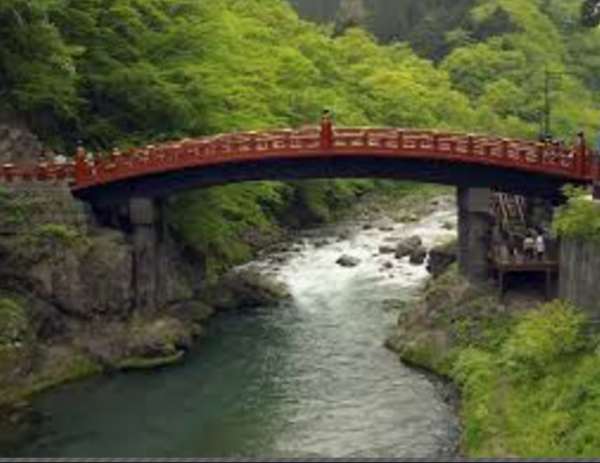 Shonin then crossed the river on the backs of the two serpents and made a pilgrimage to Mt. Nantai. The “Sacred Bridge” was built at this spot in 1636 for use by the shogun and his messengers to cross the river, but it was destroyed by floods in 1902 and then rebuilt in 1907. In the 17th century, Buddhism gave way to Shinto, which centers around the worship of ancestors, nature and national leaders. At this time, Nikko was selected by Ieyasu Tokugawa (1542-1616), the last of the three warlords who unified Japan in the late 16th century, as the location for his mausoleum and deification. His ashes were laid to rest in the Toshogu Shrine, which was intentionally built with excess size, cost and ornamentation to sanctify the authority of the newly founded Tokugawa Shongunate. Today the Toshogu Shrine, infused with the spirit of Ieyasu, is the centerpiece of a 500,000 square-meter area that is comprised of more than 100 old structures. There are four main sections: Rinnoji Temple, the Toshogu Shrine, the Futarasan Shrine and the Daiyu In Mausoleum. In the furor of the new cult following of Ieyasu, some 80 temples were subsequently destroyed with only a few allowed to remain among the new Shinto shrines. In a country where art has generally been expressed in simplicity and harmony with nature, Nikko is indeed unusual. This is a place of colorful extravagance and elaborate craftsmanship. Nearly every surface of the ornate Toshogu Shrine is intricately decorated, and much of it is covered with 2.5 million sheets of gold leaf. Copper from a nearby mine was also abundantly used in construction, particularly as the material for most of the roofs. The architecture appears to be Chinese and is a baroque version of the Muromachi Period, which was known for its decorative detail. The multitude of painted and lacquered carvings are rich in symbolism and tell many stories. The most famous of these is the “Hear no evil; speak no evil; see no evil” series of the three monkeys, which adorn the Sacred Stable. This was intended to be a potent message of the feudal times that authority was to be obeyed. As you approach Nikko you will notice many immense Japanese cedar trees, most of which are over 350 years old. These were the work of a daimyo, Masatsuna Matsudaira, who planted tens of thousands of them all around the shrines and roads leading to neighboring villages. Matsudaira was rumored to have planted them as his contribution to the shrines because he was stingy and did not want to give other gifts. Today over 13,000 of these cedar trees are still standing. Just after crossing the Daiya River near the Sacred Bridge, you will come to the Rinnoji Temple on the right side of the road. It contains a main hall housing three large wooden images of Buddha that stand over eight meters high. U.S. President Ulysses S. Grant stayed at this temple for eight days when he visited Nikko in 1879. One of the few temples remaining in Nikko, this edifice was built in 1648 and is the largest historical structure there. The Toshogu Shrine compound is located just a short distance away. At the entrance, there is a broad flight of ten stone steps. These are called the Senin Ishidan (Thousand Men Stone Steps) because common people had not been allowed into the shrine, but thousands of commoners would assemble in front of these steps during festivals. After climbing the stone steps and entering into the Toshogu Shrine, there is a five-story Buddhist pagoda, which was constructed in 1650 and later rebuilt in 1818 after being destroyed by fire. Having survived numerous earthquakes over two centuries, this structure, with a nonrigid frame and internal long wooden pendulum-like pillar, has served as a model for modern aseismic building design. These features allow the top to move in the opposite direction of ground forces caused by earthquakes. Moving further inside Toshogu, there are more than a dozen other main structures, most of which are extravagantly decorated. Large bronze, iron and stone lanterns are scattered throughout the compound. Today they are merely decorations, but in earlier times, they were lit when the shogun was present. Shinto priests carry out religious ceremonies throughout the day as people flock through, and descendants of the Tokugawa family still make annual visits for ceremonial rites. Ieyasu’s tomb is located at the back of the compound, oddly enough in a rather simple black and gold building. There is a stone monument marking the spot, which is protected by a lion and a crane statue. Reaching this spot will require an uphill trek over 200 stone steps. Next to the Futarasan Shrine is the Taiyu In Temple. This is the mausoleum of Ieyasu’s grandson Iemitsu, who was the third Tokugawa Shogun. It is a scaled down version of the Toshogu Shrine. After visiting the main Shrine area which is just across the Sacred Bridge and within walking distance from the train stations, it is time to head up what is known as the “Iroha” or “Colored Leaves” Slope. Here you will encounter some breathtaking mountain scenery amidst 20 hairpin turns as you meander your way 11.5-kilometers up the mountain. On the Iroha Slope, you will also very likely see some monkeys, which have become more numerous in recent years and unafraid of humans as they have come to know an easy meal when they see one. Signs advise people not to feed the monkeys because they have become aggressive and known to mug children carrying food. However, the cute monkeys often prove to be too much for many tourists to resist taking pictures with them. Once arriving at the top, a cobalt blue Lake Chuzenji will soon come into view, and Nikko’s two most famous waterfalls, Kegon Falls and Ryuzu Falls, are nearby. Kegon is said to be the most spectacular waterfall in Japan with 97-meter straight vertical drop. In addition to being one of the most photographed sites in Japan, Kegon is also well known for suicides with as many as 1,600 people having jumped from its summit during the past 100 years. People taking photos are often said to find spectral images of faces belonging to some of these 1,600 people. Beside Kegon Falls, the Nikko Shizen Hakubtuskan (Nikko Museum of Natural Science) is located. Here a lot of information about Nikko’s flora, fauna, traditions and cultural relics can be found, and there is a science pavilion which uses multimedia to explain the surroundings, including a 20-minute video presentation on a large screen. Ryuzu means dragon head, and this waterfall is so named because its twin falls resemble a dragon head. There are scores of other waterfalls in Nikko in addition to Kegon and Ryuzu. 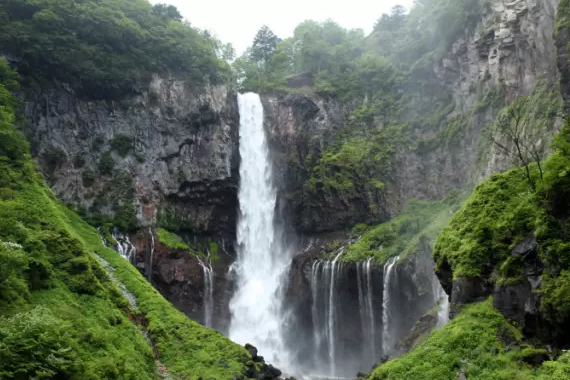 Some of the more notable waterfalls are Urami Falls, Jakko Falls and Kirifuri Falls down at the lower elevation and Yudaki Falls, which is a short drive past the Ryuzu Falls at the upper elevation. The geography was created by volcanic activity from Mt. Nantai, which is now dormant. Ancient lava flows dammed up Lake Chuzenji and created the multitude of waterfalls and natural beauty. Humans later added the finishing touches to the masterpiece. Seven million tourists visit Nikko every year, and if you go in the fall the crowds will be out in force. But they are there for a reason, and anyone visiting Tokyo should make Nikko part of the itinerary. Nikko can be visited in one day, but if possible a two- or three-day trip would allow you to see all the sites and enjoy them at a leisurely pace. There are two ways to go by train, but Tobu Railways offers the best price. Departing from Tobu Asakusa Station, travel time is one hour and fifty-five minutes with the one-way ticket costing Y1,320 for open seating and an extra Y1,420 for a reserved seat. Taking the JR Bullet Train to Utsunomiya and then local train to Nikko, the one-way fee is Y4,920, and travel time is one hour and 20 minutes. JR Nikko Station was designed by Frank Lloyd Wright and built in 1890. The Sacred Bridge and the main shrine area are within walking distance from the train Stations and a local bus is available for Y980 from Tobu Nikko Station to transport people up the Iroha Slope to Kegon Falls. JTB Sunrise Tours offers a guided coach bus tour in English. This service is available from April 1 to November 30 on Mondays, Tuesdays and Fridays with departure times from most Tokyo hotels between 7:10 a.m. and 8:00 a.m. Return time is around 8:00 p.m. in the evening. The schedule is tight but all the main attractions are covered, and you will not get lost. At Y13,500 for the tour with lunch and Y11,500 without lunch, the package makes for a very good deal. For reservations call JTB Sunrise Tours at 03-5620-9500. There are approximately 40 hotels in Nikko with four of them being Western-style. 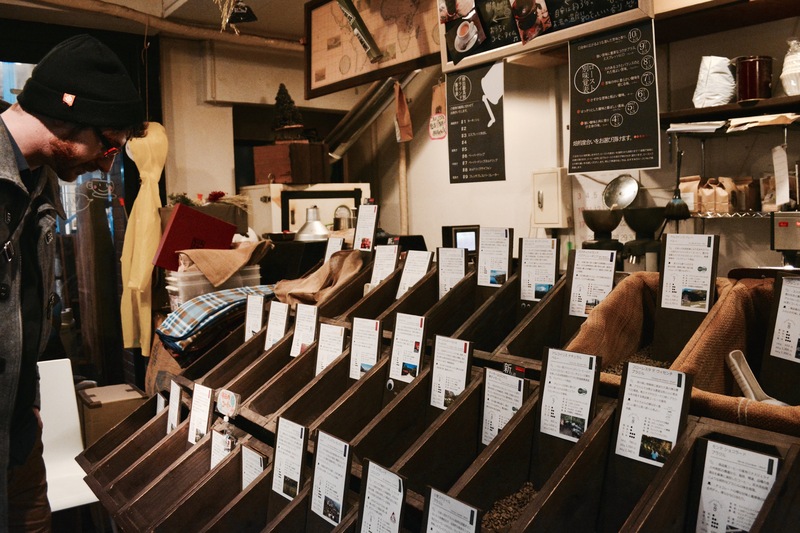 Prices range from Y3,000 with two meals to Y20,000 yen with two meals. In Japan these rates are generally “per person.” You can call JTB Sunrise Tours for hotel reservations in English or other travel agents as well. May 17 & 18 and October 17 are particularly popular as rather elaborate festivals are held on these dates with omi koshi (carrying the Toshogu deity through the streets with a portable shrine) and hundreds of people parading in traditional costumes, which are stored at Toshogu Shrine. There is also a Nikko Ice and Snow Festival during the first two weeks of February near the Chuguji Shrine at Lake Chuzenji. Many ice sculptures are erected and there are fireworks and other daily events. For more information on events, hotels and attractions at Nikko, contact Nikko here.